If you are experiencing problems with your nails this could be due to several factors. 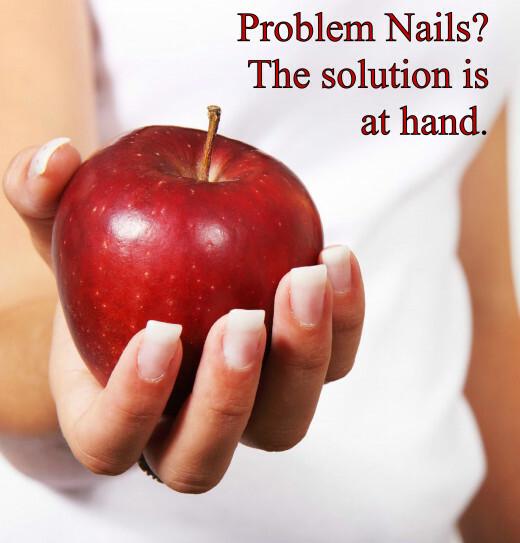 We will look at the symptoms, potential causes, and changes needed to restore the health of your nails. If the eyes are the windows to the soul, then it could be said that your nails are the windows to your health. It is true, your nails are a daily visual reminder of your dietary and lifestyle choices. 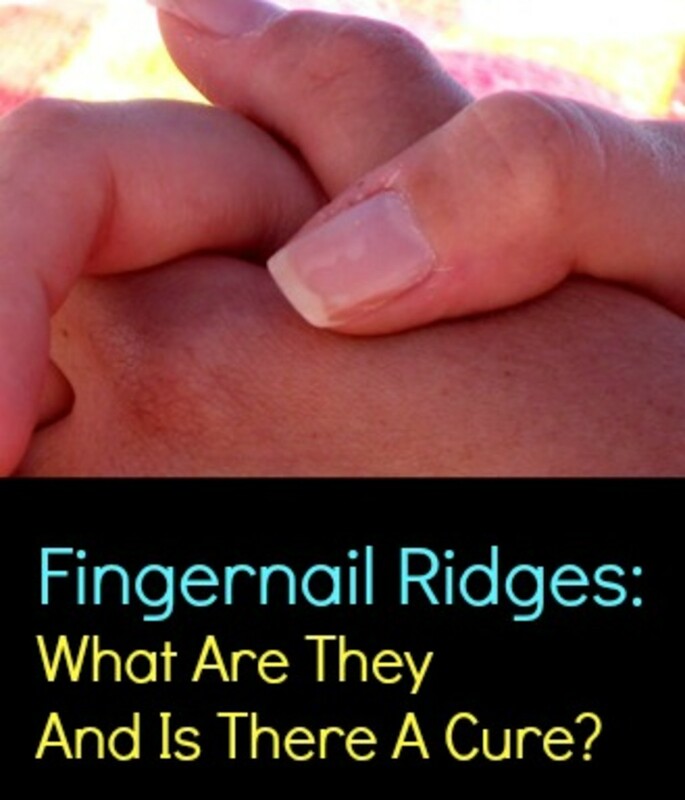 If you are experiencing problems with your fingernails, the problem might go deeper than just that of your nails. Often a problem with your nails can indicate an underlying health issue or a deficency in your diet. If your nails seem to break easily this could be caused by a deficiency of nutrients in your diet. We all know that calcium is necessary for the health of our teeth and bones but a lack of it can cause problems in our nails also. Obviously without a bone scan you won't know if there is a problem in your bones. However your nails are a constant reminder of our general overall health. Vegetales with dark green leaves. Eating a wide variety of healthy unprocessed foods isn't only better for your nails and hair, it's good for your entire body. Check with your doctor to ensure your nail breakages aren't a sign of a thyroid problem, or possibly worms. Taking a multi-vitamin with minerals will ensure any shortfalls in your daily intake of vitamins are met. If your fingernails are peeling or flaking away this could be due to a lack in your diet. Calcium, zinc and selenium help prevent the peeling of nails. Besides the foods already mentioned for calcium consider adding nuts, beans, oats and lean red meat to your diet. Yellow or discolored nails could be due to wearing nail polish for extended periods of time. It is a good idea to periodically allow your nails to be exposed to daylight and not clad behind a mask of polish. If you eat an abundance of foods which contain beta-carotene such as carrots, pumpkin or even beets these could give, not only your nails, but also your skin a yellow/orange hue. Smoking has also been linked to the yellowing of fingers and fingernails. Some medications such as antibiotics, if taken for an extended time can alter the color of the nails. Here too this could be an underlying medical reason such as diabetes, kidney or liver problems. Check with your doctor. The ridges in the nails are thought to be hereditary. If you have them, it is likey your mother does as well. Although this makes it difficult to get a smooth finish, especially at home, these should not be rubbed or sanded level. This reduces the strength of your nails and could leave you open to infection. Using light colored or clear nail polish is preferable to mask the problem. What is your criteria for choosing a nail salon or manicurist? Do you go to one which has been recommended by a friend or colleague? Perhaps you use the one which is nearest to your home. When you go do you ask questions? I'm not refering to questions about their prices or availability. There are more important questions which you should be asking. Are the implements sterilized between clients? What chemicals are being used? Do they use products which contain any carcinogens? What are the hygenie conditions like at the salon you frequent? Don't be afraid to ask questions, those which offer a reputable service will be pleased to answer the questions. Any salons which find your questions offensive are likely not following a good system for controlling the cleanliness and hygenie of their salon. These of course should be avoided. What are your nails like? There are many types of artificial nails available including gel, acrylic, and silk. People have them done for different reasons. Some have them for a special occassion and others have them continually. As the nail grows out it is necessary to visit your nail technician to have a fill in. This may be every two weeks depending on how fast your nails grow. During this time small airpockets may form between your natural nail and the artifical nail. It is here where problems can occur as moisture enters and fungus grows. You may not be aware of this until your finger becomes painful when touched. This can begin to rot your nail and leave your body open to bacteria. The treatment is usually topical and oral. This should be under the care of a qualified health professional. Tea tree oil is often applied to stave off an infection. If it has been some time since you have had your nails done, your cuticles could have grown forward across your nails. When this is pushed back it may look large and unattractive. A good manicurist will apply a cuticle remover which will help. It shouldn't be cut. In time with continued attention, and the use of a good cuticle cream it will soften and reduce. Once you are aware of how mistreated your nails are, you can begin to make changes and in time you will be rewarded with healthier and strong nails. High Maintenance Woman or the All Natural Look? I used to be a nail biter and for me what worked was the nasty tasting polish. It was more of a reminder to not do it. I would also say, find out when you're most likely to bite them. If it is while you watch television, sit on your hands. If it is due to nerves when you are around people, take classes which will make you feel confident around groups of people. A public speaking course does more for a person's confidence then you might imagine. Some women apply false nails to show them how great their nails will look when they are longer. I won't say it is an easy habit to break but it is doable. Glad you enjoyed it. Sometimes short nails are best for a busy woman. This is lots of good information. I don't pay much attention to my nails. They don't seem to grow really long; I don't know why. I only use occasional clear polish for low maintenance. Nice hub. Very well done. Same for me, I rarely use polish now. I believe nails need sunlight to be healthy. Glad you enjoyed it, thanks for your visit. I learned a lot about taking care of my nails. Although I love the idea of nail polish I stay away from it except for special occassions. You have shared a lot of great tips that I will start doing for healthier nails. An angel from the NHS. As an American who has lived most of my adult life in the UK, I realise how fantastic the NHS is. Yes I know there are problems, mostly coming from patients who unnecessarily, go to the doctors. It is one of the best things, I feel, about the UK. I am pleased you found this hub useful. Thanks for reading. I do agree that like the eyes, our nails can be a significant indicator of certain deficiencies in the diet. Nice work. Healthy nails in fact reflect how healthy a person is. You have made some very useful suggestions in this hub. We use our nails for almost everything. Thanks for cautioning, especially to avoid using them as tools. I too use my hands a lot (farming). I now wear gloves almost always when I am working. I imagine getting into position to get those photos could cause a problem, through undergrowth and such. Also the weather (sun and wind) can play havoc with the skin and nails. I guess gloves are too cumbersome to use? My nails are better than they used to be, but I work with my hands a lot, so I guess that will always have a lot to do with the lack of protection. I think so too. Healthy and strong are always beautiful with or without polish (varnish). Thank you for your visit. Yes, healthy nails are important. Thank you for an interesting article. Thanks for mentioning that. I have reached an age where beauty is okay but not without the health to back it up. There was a time when I had artifical nails for several years and developed an infection in the nail bed. Now although my nails aren't long and elegant they are strong. I think health always has to come before beauty. I am sorry to hear about your current problems with your nails. Are they being exposed to cleaning products? So many of them are extremely strong. I also think that sometimes as adults we get stuck in a dietary rut and don't always eat a wide variety of foods, which would provide all the necessary vitamins and minerals. I hope your nails improve for you. My nails have been long since I was a young child. The kids at school use to try and pull them off, they thought they were fake. I can't wear polish anymore when I do they break off. Voted up on your hub. Voted Up! I like that your attention to nails is about health instead of glamor. Thanks for the very useful information. I have to disagree with you, sorry. 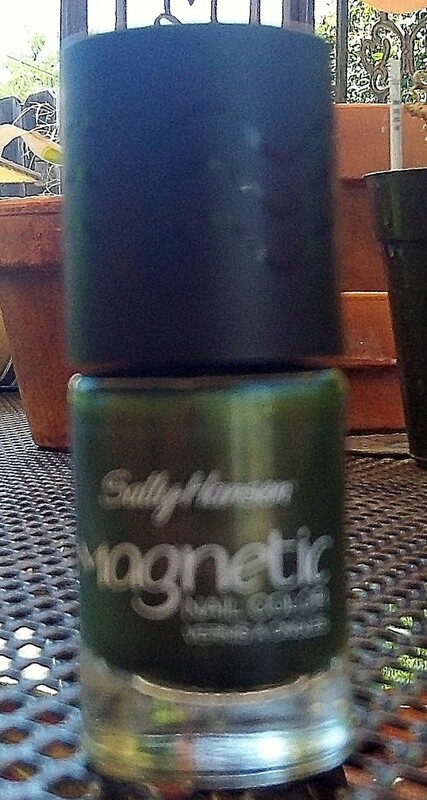 Healthy strong nails aren't just for top female CEOs they are also for the urban farmer. I am sure your diet is excellent which helps keep them from causing you problems. I hope your weekend is shaping up well for you. Thanks for stopping by.